Every day, we come into contact with a large number of toxins, as toxins are given off from a variety products like paint, cleaning supplies, markers, substances used in building homes, low-quality, unpurified water, bathing products, hygiene products, and even pesticides that are widely sprayed in regions that have farming present. It is common to ingest a range of different toxins just by breathing in the fumes that are present all around us, not to mention the toxins that we receive from an unhealthy diet filled with processed foods and sodas, or the ones that fill our home when we don't air out our homes properly. 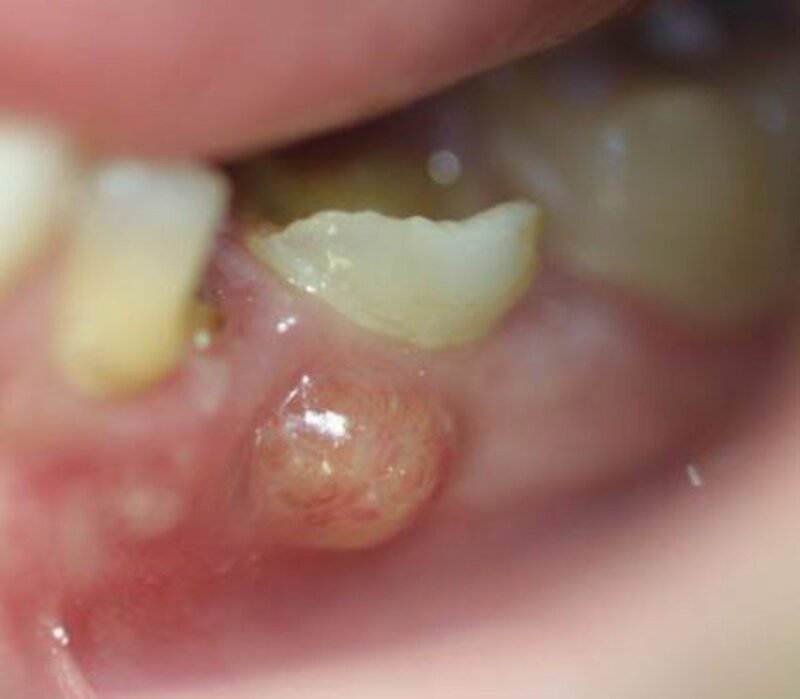 Then you consider the metal filings in our teeth, the vaccinations we give our children, the toxins in our regular drinking water, and all of the other products we use on a daily basis. Two separate studies conducted in 2004 and 2008 by the Environmental Working Group (EWG) found that the umbilical cord blood taken from newborn babies contained 200 plus environmental toxins, even before they’ve taken more than their first gasp of air or had their first sip of breastmilk. Even worse, researchers at AARDA estimate that 50 million Americans suffer from autoimmune disease and that the prevalence is rising. They have identified 80-100 different autoimmune diseases and suspect at least 40 additional diseases of having an autoimmune basis. All of these are preventable diseases caused by the pollutants in our environment and that we put into our bodies. And there is a cure! The first step would obviously be to cut out as many of those as you can from your life, but then you are going to want to get them out of your system permanently. I promise, it sounds a lot harder than it really is. We've been living a clean lifestyle for 4 years now and are loving every minute of it. It takes time, patience, and a little effort, but it's all worth it for the goal at the end, and that's having a happy, healthy family that doesn't have to worry about chronic illness or disease. Did you know that even without all of the steps we take to be clean living in our home, you can still detox yourself and all of your family members by simply getting in the bathtub once a week? Not many people are up for big cleanses with crazy veggies, complicated smoothies or juices, or even pills, unless they are super dedicated. And what about children, babies, and pregnant or breastfeeding moms? Is there something safe that they can do to detox from all of the craziness they have either come into contact with, or have experienced in the past? Absolutely! Something as simple as getting in the bathtub periodically with just an easy to find ingredient or two, may be just the trick. In fact, once a week is the recommendation of most for detox baths. How does that work? Great question! First of all, the hot water from the bathtub helps to draw a lot of the toxins in your body to the surface of your skin, washing them away as the water cools. The problem with just using water though, is that the toxins in the water can be re-absorbed right back into your body before you get our of the bathtub. However, there are some really great, very simple ingredients that you can add to the water while you're bathing that will aid further in pulling out all sorts of toxins, including heavy metal toxicity and bacterial infections, and keep the toxins in the water from being absorbed back into your skin. With these simple ingredients, you'll even be healing your body, giving it vital vitamins and minerals, and strengthening your immune system all at the same time. Sounds great, right? So what is a detox bath exactly? A detox bath is a safe and natural way to help remove toxins from your body using your bathtub. During a detox bath, ingredients like Epsom salt (magnesium sulfate) and baking soda (sodium bicarbonate) are dissolved into the hot water in your bathtub. 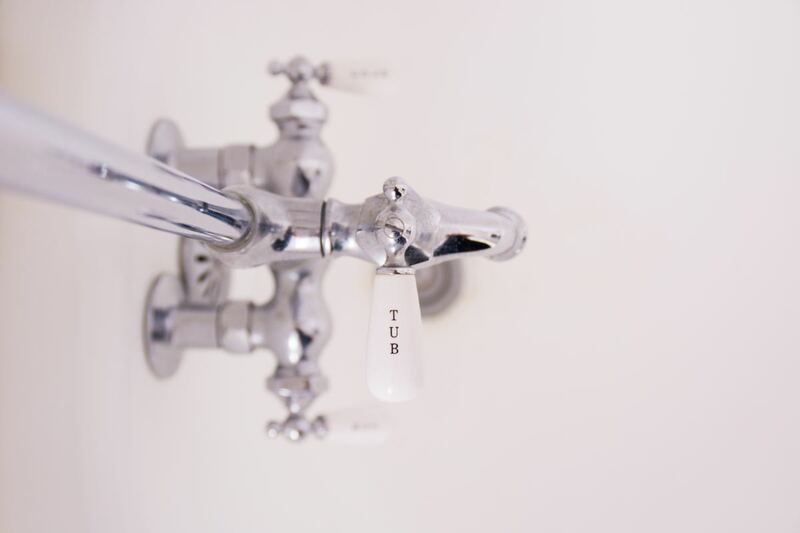 When you get into the bathtub, each ingredient has a different job in leaching the toxins from your body, replacing valuable nutrients into your skin, and absorbing the toxins in the water, allowing them to flush down the drain when you are finished with your bath. There are no special recipes or ingredient mixes that are required. In fact, you don't even need fancy bubble baths, herbs, or special expensive detoxifying products from the internet. You can find everything you need right in your kitchen. Let's look at some of the great ingredients you can use for your detox bath. Calcium bentonite clay is an absorbent kind of clay that typically forms after volcanic ash ages. This clay has a unique composition and can absorb “negatively charged” toxins. It binds to heavy metals and chemicals in your bath water to keep you from absorbing them, reduces any muscle inflammation, flushes toxins from your body, improves hydration, and leaves your skin feeling healthy and smooth. Diatomaceous earth is a naturally occurring sand extracted from the earth that consists of fossilized algae. It is a natural substance that can detoxify not only radiation and heavy metals from your body, but also environmental toxins and GMO toxins, like mold, fluoride, gangrene, infections, parasites, candida yeasts, viruses, and even bacterial overgrowth effectively and safely! Both diatomaceous earth (DE) and bentonite clay are such powerful natural resources that they have been widely used in detoxification for the healing of many ailments. Most toxins, pathogens, impurities, and heavy metals in the body are positively charged. In their natural state, the clays are negatively charged, thus allowing them to attract and bind to each other to be excreted from the body. Clays don’t stay in the bloodstream, hence they does not cause any toxicity. Epsom salt is actually magnesium sulfate, a pure, natural, time-tested mineral compound with dozens of uses. Sulfates help improve the absorption of nutrients in your body, flush toxins and heavy metal toxicity, and can help ease your migraine headaches. Magnesium plays a number of roles in your body, including regulating the activity of over 325 enzymes, reducing inflammation, helping muscle and nerve function, and helping to prevent artery hardening. Traditionally used in baking, baking soda is an alkaline compound typically found in crystalline form in nature. In your bath tub, this ingredient draws harmful toxins and metals out of your body, relieves muscle aches and pains, and alkalizes your body. Baking soda is also known for its cleansing ability and anti-fungal properties. As it neutralizes the chlorine in your bath tub water so it isn't absorbed into your skin during your bath, it should be put in first and allowed to dissolve for 5 minutes before getting in. 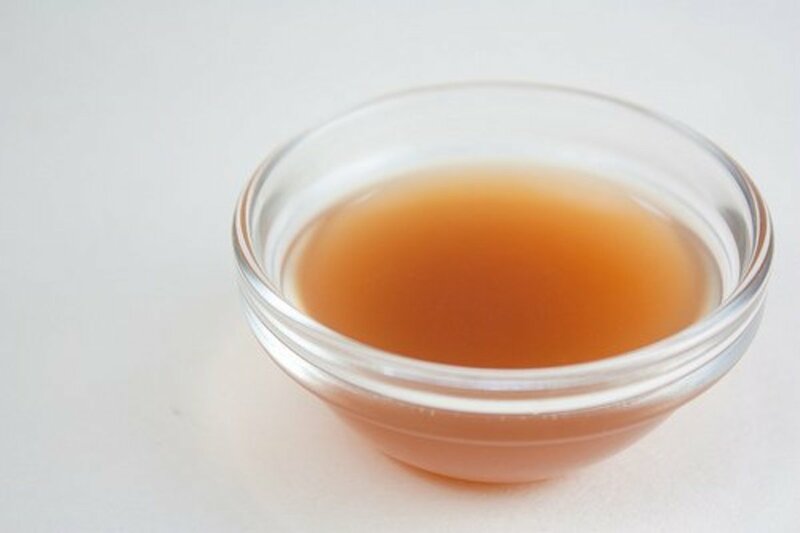 Apple cider vinegar is a liquid produced during the fermentation of apple cider. 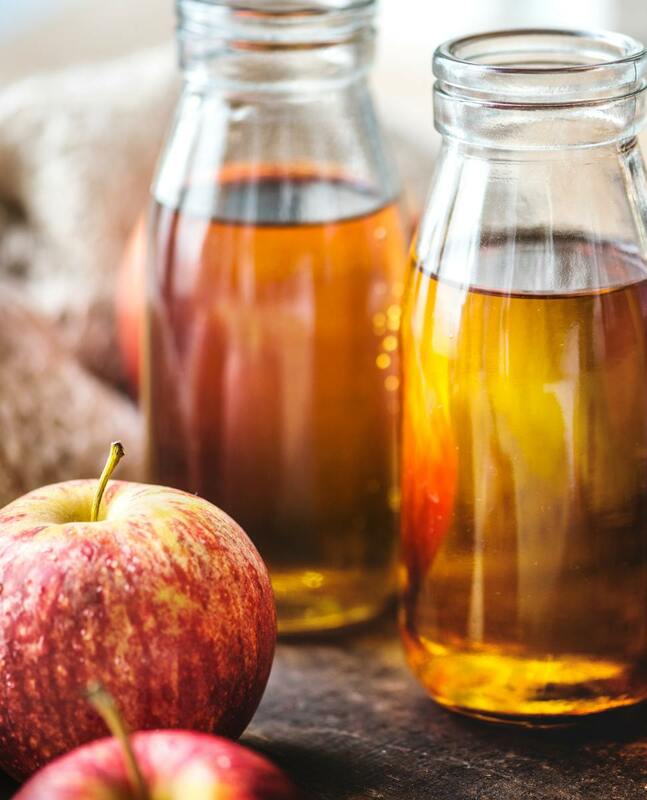 During this process, the sugar in apples is fermented by yeast and/or bacteria added to the cider, then into alcohol and, finally, into vinegar. Like other types of vinegar, the key component in apple cider vinegar is acetic acid. This is an amazing head-to-toe detoxifier, it relieves muscle aches and pains, restores optimal body alkalinity (which also creates an environment candida cannot survive in), and it can help treat any body odor problems for anyone trying to make the switch to natural deodorant. 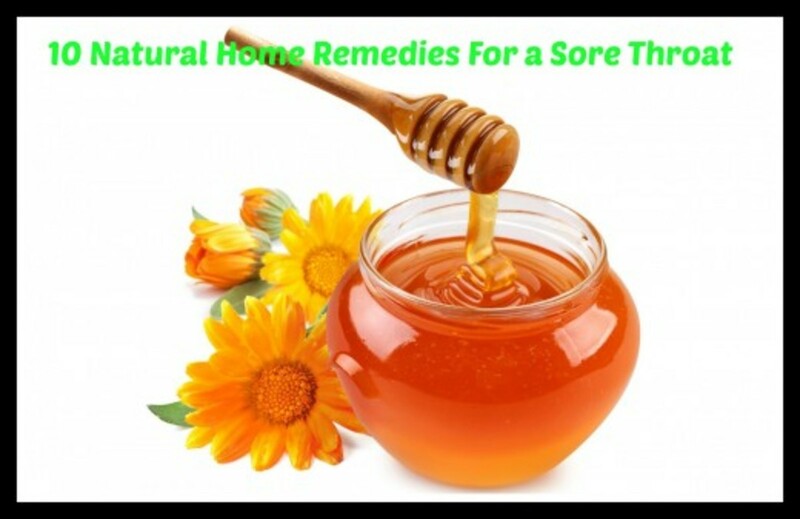 It's also great for soothing skin problems and balancing your skin's pH levels. Apple cider vinegar is one of the best ways to cleanse your body of bacteria and boost your immune system. Composed of magnesium, potassium, calcium chloride, and bromides, natural forms of salt help to replenish minerals critical to our skin's metabolism. Each of these important ingredients has an important role in your health. Magnesium is important for combating stress, fluid retention, slowing skin aging, and calming your nervous system. Calcium is effective at preventing water retention, increasing circulation, and strengthening your bones and nails. Potassium energizes your body and helps to balance your skin's moisture. Bromides act to ease any muscle stiffness and relax your muscles. Sodium is important for the lymphatic fluid balance (this in turn is important for immune system function). Being a natural herb, ginger has variety of wonderful health benefits. The anti-inflammatory properties of ginger have been known and valued for centuries. It is known to reduce the pain of rheumatoid arthritis and to boost your blood circulation. Not only does ginger also help with indigestion and nausea, it promotes regular digestion and helps alleviate bacterial infections. Be careful with this ingredient though, because it encourages your body heat to go up in order to sweat out the toxins in your body. If you're taking anti-coagulants, this ingredient is not safe. As you've seen above, detox baths are super simple, can be easily made using the ingredients you have in your kitchen right now, and are safe for both adults and small children. As they are so good at naturally flushing toxins out of your body, minor illnesses will disappear, your skin will look and feel better immediately, your headaches and muscle aches will likely fade away quickly, and even better, they promote sleep. When you are sick, everyone knows that sleep is the ultimate healer. However, when you're sick or are in pain, sleep may be harder than it sounds to get. It's never easy to sleep when you have a headache, muscle aches, or a fever. 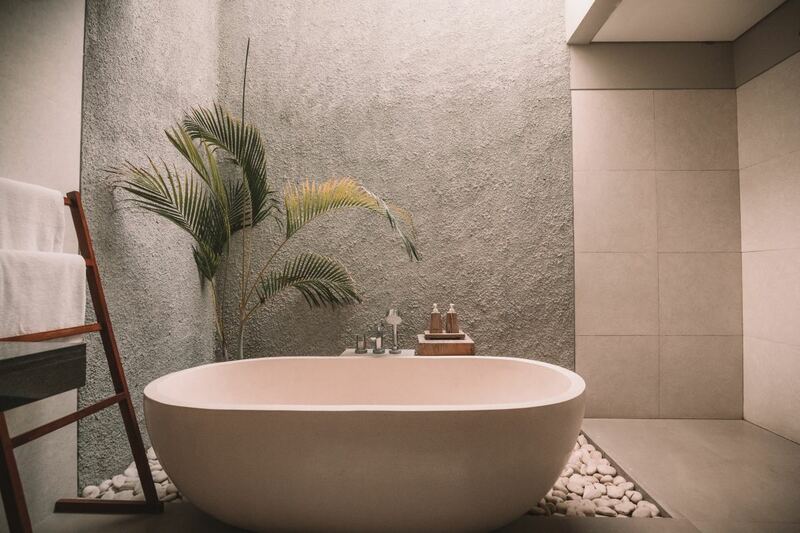 Thankfully, detox baths leave you relaxed, warm, and ready to close your eyes and drift off to dreamland. The process behinds these baths is a version of osmosis. That basically means that toxins are first drawn to the surface of the skin by the bath’s hot water and then cleansed away as the water cools. And there are so many benefits that you can expect in return. Detox baths are known to improve your sleep, support healthy joint and cartilage function, improve your digestion, and relieve morning sickness. Yes, detox baths are safe while nursing and pregnant! I know many women that will be excited to hear that. They are also known to help relieve anxiety and panic attacks, improve your concentration, reduce stress, prevent blood clots, improve your body's oxygen use, prevent headaches, effectively flush toxins from your system, and even improve your body's ability to absorb nutrients. Removal of toxic heavy metals and synthetic chemicals accumulated from eating GMO foods, fluoride contamination, radiation and chemotherapy treatments. A healthier gut flora in the digestive system. As many chronic diseases develop due to poor gut health and immune system, getting the gut flora back to balance means a great deal in improving a total well-being. 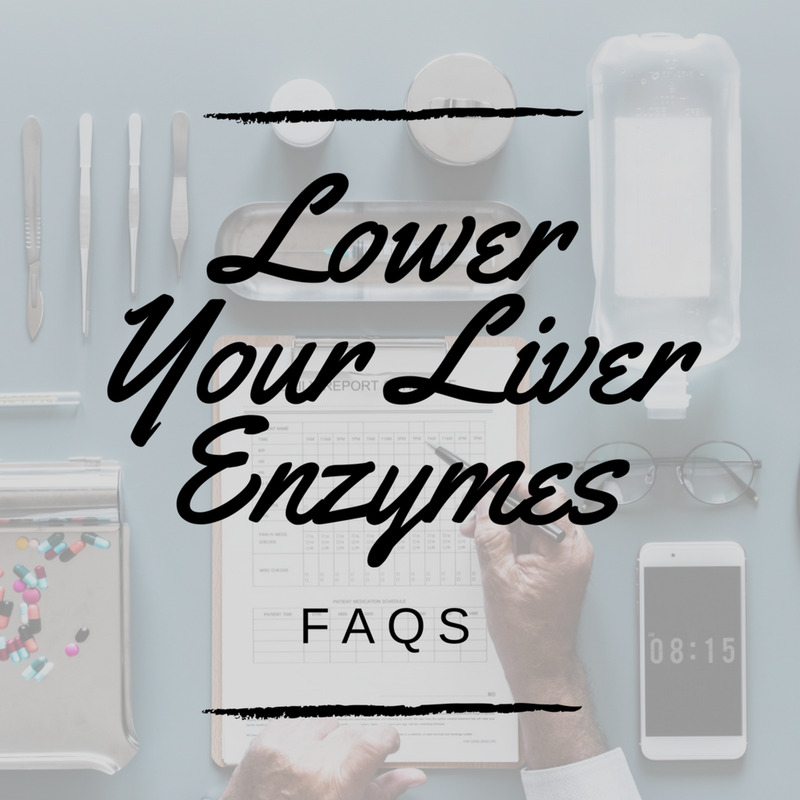 Healthier liver and kidneys. This also will see an improvement of many ailments related to the liver and kidneys. Revitalized and healing of damages cells and tissues. A more balanced body pH and reduced body acidity. Better hair, skin, nails, bones, teeth and joints health. Anytime you detox, whether it's through a drink, a pill, a fast, a bath, or any other method, your body is working hard to get rid of all of the toxins you've accumulated. It's not an easy process, although you probably don't have to do the heavy lifting as your insides are doing all of the work while you relax. However, you will most likely feel the consequences later, more for those that have been exposed to more toxins. Some of these may be tiredness, initial body aches, headaches, and nausea that will go away, dehydration, or weakness. This is simply your body sloughing off all of the bad stuff. You can even expect to sweat during your bath. 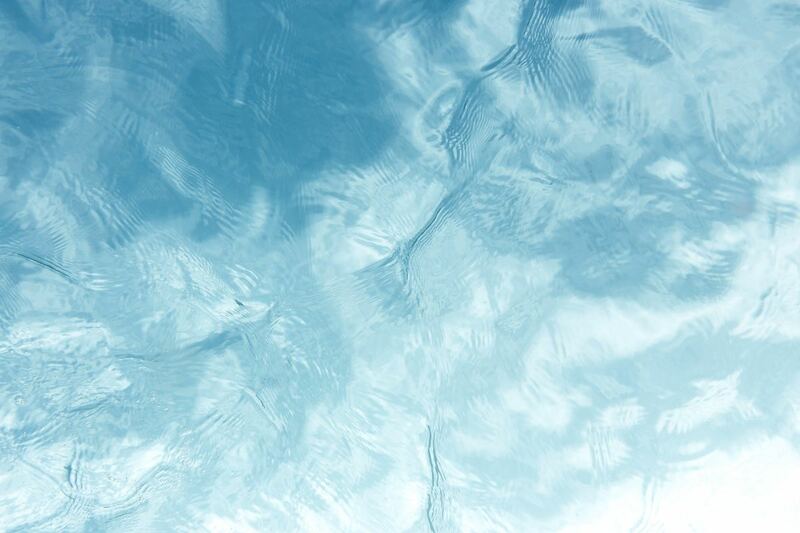 It's not necessarily the temperature of the water, but more likely your body working hard. You will be tired. Plan to take your bath just before bedtime so you can slide into bed just after your bath. The detox bath should help you sleep well. And, if possible, it's best to have someone in the house with you should you need assistance, or just take it easy on the detox until your body adjusts to it and you know what to expect. Flu symptoms are common. Any detox process can subject your body to flu-like symptoms like headache and nausea. These symptoms likely result from the toxins leaving your body. Bring 2 bottles of water to the bath with you and drink it all slowly during your bath. You can even add lemon to your drinking water to help settle any nausea you may feel during the bath. However, know that you may not feel any negative symptoms at all. Soak for 20 to 40 minutes. It is recommended to stay in the bath for about 40 minutes to an hour for best results. The first 20 minutes will give your body time to remove toxins from your system, while the last 20 to 40 minutes will allow you to absorb the minerals in the water. Make sure to stay hydrated during your soak, and take care not to get overheated. Drink water during the first 20 minutes of your soak. You will notice yourself start sweating after just a few minutes in your detox bath. This is your body expelling toxins. If you start to feel too hot during your soak, add cool water to the tub until you are comfortable. You may feel weak. Get out of the tub slowly when you are finished. Your body has been working hard and you may get lightheaded or feel weak and drained. Oils and salts can also make your tub slippery, so stand with care. Wrap your body in a soft blanket or towel immediately after getting out of the tub, you can continue to detoxify through perspiration and air drying for another couple of hours. Rehydrate. Any time your body detoxes you need to replace the fluids you've lost. It is recommended that you drink a bottle of water before your bath, drink 2 bottles of water during your bath, and even drink an additional 2 bottles of water following your detox bath. Apply lotion liberally. You should allow your body to air dry as much as possible after your bath for the best results. Then apply a natural organic lotion (or even coconut oil) to rehydrate your skin afterward. Keep in mind that if you are applying a conventional or scented lotion, you are putting the toxins right back into your body. This is a great step towards your health and you deserve a congratulations. Although the simplest of detox baths are going to be beneficial to your health, there are some simple things you can do to make them that much more effective. If you aren't comfortable taking these additional steps, then don't worry about it for now. You'll get there in time. For now, just enjoy your bath. However, if you're ready to kick them up a notch, check out a few things that you can do that will really boost the detoxifying power of your baths. They are simple, easy, and even better, free! Why not give them a shot? Prepare your body. The minerals in a detox bath will help pull toxins from your skin in a process that can be quite dehydrating, so be sure you are well hydrated going into your detox bath. It is recommended that you drink one full glass of water at room temperature before your detox bath. Dry brush your skin. I know this sounds funny, but trust me. Your skin is your largest organ and the first line of defense from chemicals and bacteria. By helping your body shed dead layers of skin, you are also removing these harmful agents. Dry brushing also speeds up your lymphatic system's ability to eliminate waste. You can do this by taking a regular brush and running it over your skin starting at your feet and fingers and going towards your heart. Check out dry brushing for more great tips and health benefits. 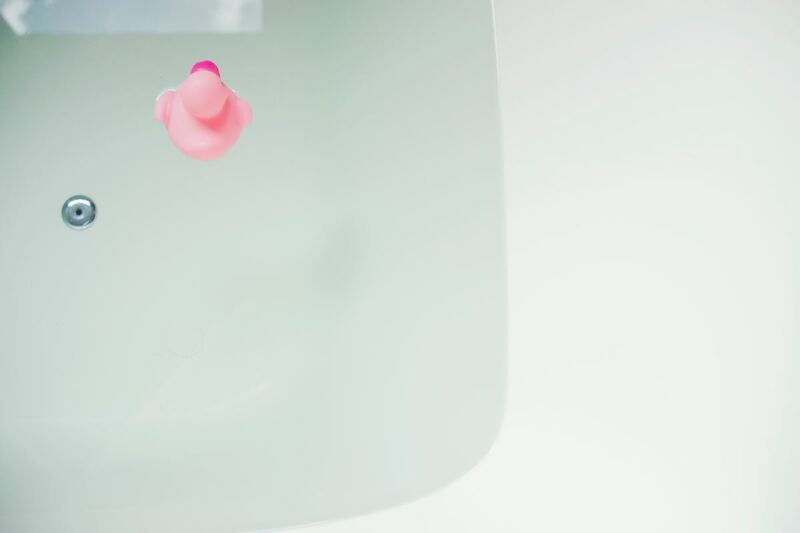 Are Detox Baths Safe for Children and Babies? Your kids are exposed to a lot of toxins from pollution, household cleaners, and processed foods that are full of chemicals and additives. A detox bath with magnesium has the power to eliminate those toxins. 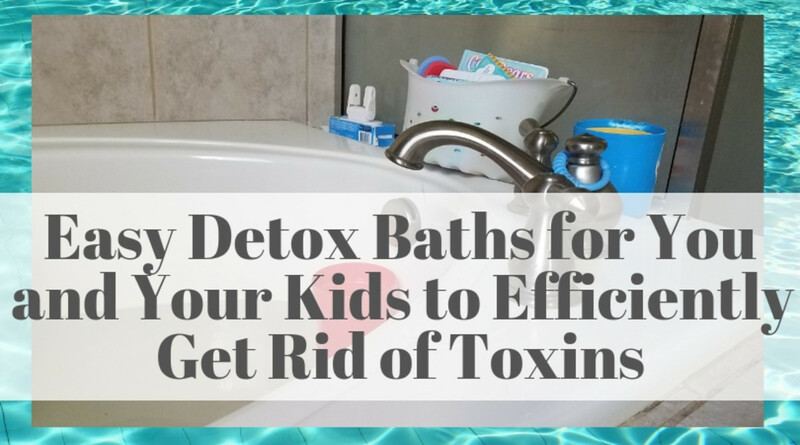 So it is also a good idea to just give your kids a detox bath once a week, even if they are not sick to keep their immune systems strong and free of toxins. Taking a detox bath will help your kids relax, clean their systems of toxins, and absorb wonderful minerals that will strengthen their immune systems. Even brand new babies can benefit from detox baths with mommy or daddy. Not to mention the amazing benefits of skin to skin baths for infants, gentle detox baths can help with toxins they were exposed to before birth, bacteria picked up at the hospital, and even any medications, antibiotics, or vaccinations they received or were exposed to at birth or soon after. Babies can benefit greatly from the properties of the various ingredients used in detox baths, as they are all-natural and beneficial to the body always, but I would stay away from ginger- baths when including your infant, as ginger increases your body heat to help you sweat out the toxins. 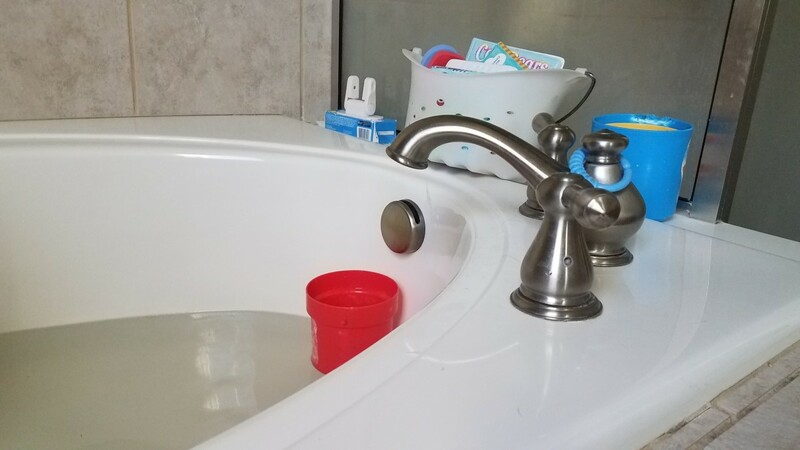 For children under 60 lbs, add 1/2 cup to a standard bath. For children 60 lbs to 100 lbs, add 1 cup to a standard bath. For people 100 lbs and up, add 2 cups or more to a standard bath. For adults, the recommendation is also to use the highest water you can stand for the greatest detoxification. But you wouldn't do that for a pregnant woman, and it's certainly not safe for babies and children. Make sure in those cases to keep the water at 100 degrees F or lower. Getting a bath thermometer for your young children is a good idea anyways for all of their baths, if you don't already have one. As long as you follow the recommendations above, detox baths are not only safe for your children of all ages, they are beneficial and highly recommended. What Is the Best Detox Bath? If you are willing to look for them, there are thousands of detox bath recipes available online. Some articles will offer you recipes to wrap up as gifts, most will require things of essential oils (more on this in a bit), and all of them will have specific measurements for all of the various ingredients. Honestly, there is no perfect detox bath recipe. The trick is simply using what you have on hand in the right amounts that work for you. But I'll give you a cheat sheet below. Bentonite clay: great overall ingredient for any symptom, best used to rid your bath water of impurities before you add anything else or get in, and only use a couple tablespoons. Diatomaceous earth: great overall ingredient for any symptom, and blend about a 1/2 cup to 1 cup with the same amount of water in the blender before adding it to your bath to help it dissolve better in the bath. Epsom salt: great overall ingredient, best used for constipation and sore muscles. Only use about 1/2 cup and make sure to use lotion afterwards. Keep children from swallowing the water if used. 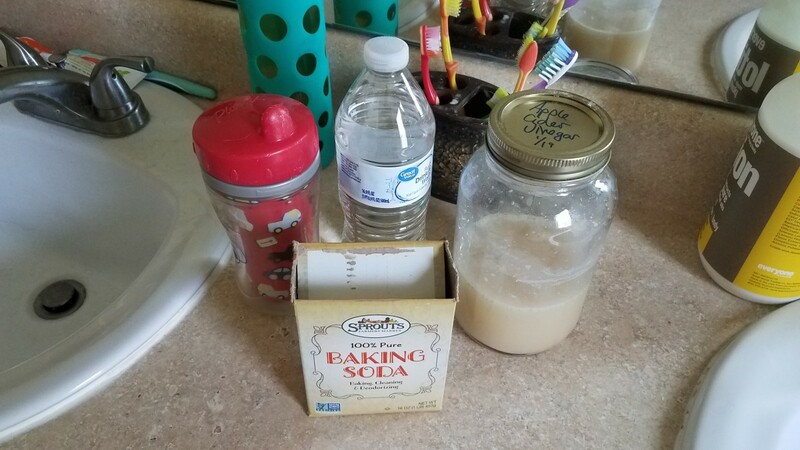 Baking soda: great overall ingredient, best used to rid your water of impurities before adding other ingredients or getting in. Add about 5 minutes before other ingredients and keep it at about 1/2 cup. 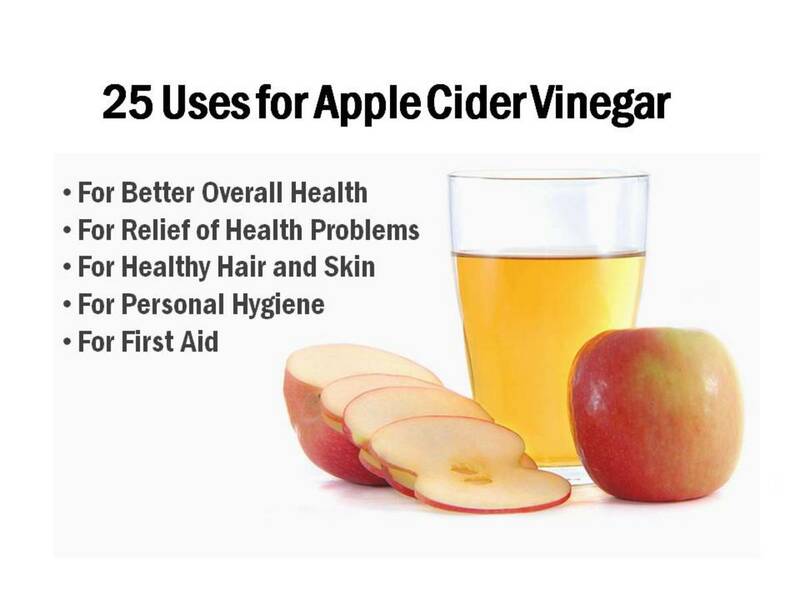 Apple cider vinegar: great overall ingredient, best used to get rid of illnesses and skin problems. Keep the dosage at 1/2 cup to 1 cup. Great for improving the health of your hair as well. Ginger: promotes heating of your body to allow you to sweat out the toxins. Great for serious detoxing, but not safe for pregnant women or children. Each time an adult in our household takes a detox bath, we use about 1 cup Epsom salt as one or the only ingredient, and mix up anything else we use. I really like olive oil and baking soda in my baths. Olive oil makes my skin feel really good. We also fill the bathtub all the way up with super hot water. However, with my kids, I like to mix it up. 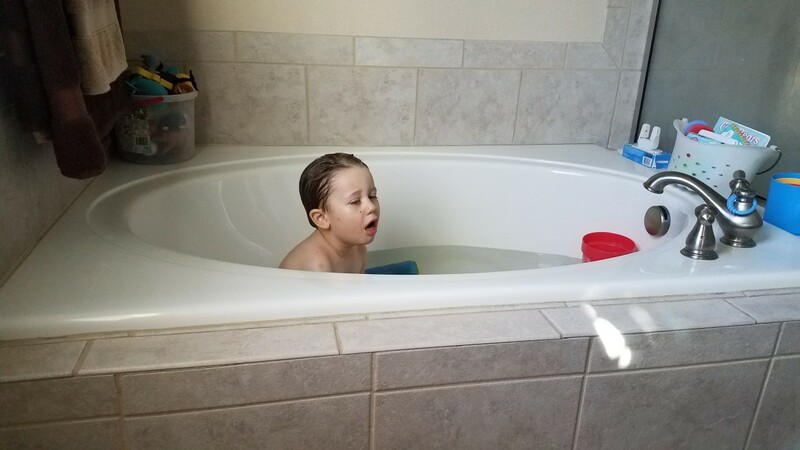 My son wasn't feeling well today, so I drew him a bath using about 1/2 cup baking soda and 1 cup homemade apple cider vinegar. But I only fill the bathtub up one third to halfway full of water and keep the temperature just above warm. 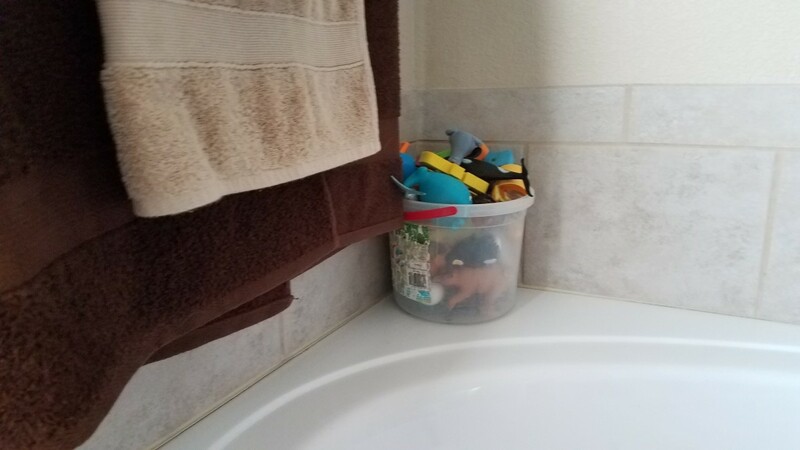 It also helps if my kids have a fever to wet their heads and bodies while in the tub so the cooling effect of the water can help them feel better. With a little practice, you'll find what you like the best. Just know any ingredient is fine being used all by itself. There's no need to have a complicated recipe. The whole purpose of a detox bath is to get rid of any toxins you've been exposed to. 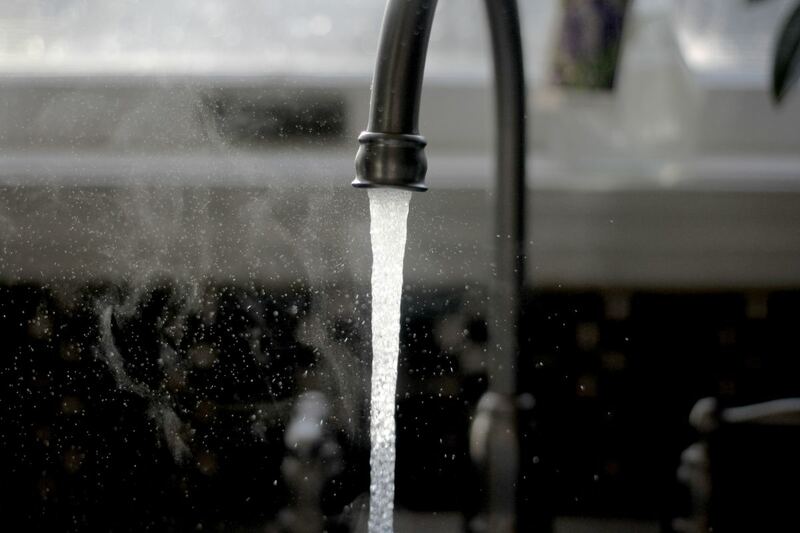 Consider fluoride and chlorine in your drinking water and toothpaste, chemicals in your food, bathing products and cleaning products, pollution in the air, second or third hand smoke, perfumes and colognes, etc. These toxins can cause all sorts of health issues for you, autoimmune diseases being the most common, but food allergies, asthma, vulnerability to seasonal illnesses, and many chronic conditions like migraines are included in that list. If there was a simple way to get rid of all of that mess from your body that didn't cost you any extra money, and it was something you likely want to do anyways, wouldn't you jump on it? Of course you would! Now consider that it's your precious children we're talking about. This is a safe, natural way to gently detox their bodies of all of the toxins entering their delicate bodies every day, including the food they eat, the chemicals they get from any medications and vaccinations, and even the toxins in their shampoo, soap, and bubble bath that you didn't know about. Detox baths are a great way to get rid of illnesses, bring down temperatures safely, help your children to sleep, and even get rid of pesky chronic symptoms like stomachaches, headaches, muscles soreness, food allergies, asthma, amongst many other conditions. And your kids are already likely getting in the bathtub everyday anyways. Don't be scared, give it a shot. What do you really have to lose? Maybe some dead skin cells, the grease in your hair, your dry skin, and some annoying toxins that are making you sick. That's interesting. Why is that Eric? Great stuff. I wonder about even taking a bath. Soaking in that water at all makes me uneasy.